Official press release of The Coalition for Children’s Rights, of which ChildFund is a member, ahead of its conference in Dublin’s Chester Beaty library today. The Coalition for Children’s Rights will today join forces with the National Youth Council of Ireland and the Children’s Rights Alliance to discuss the impact the Sustainable Development Goals will have on children in Ireland and internationally. The Sustainable Development Goals (SDGs) are the new set of development goals that will address global poverty, inequality and climate change over the next 15 years, replacing the Millennium Development Goals (MDGs). After months of negotiations among UN member states, the first official – “zero” – draft of the Sustainable Development Goals (SDGs) was published last week. “The Millennium Development Goals were in many ways successful. Progress has been made. A smaller proportion of the world’s population now live in extreme poverty than 15 years ago. Child mortality rates have decreased substantially and we have seen important advances in health and education,” said Helen Keogh, Chief executive of World Vision Ireland. However, more than 400 million children still live in extreme poverty so the news goals must tackle this. However, unlike the MDGs , the Sustainable Development Goals (SDGs) have to be adhered to by all countries, including Ireland. This event aims to raise awareness of the fact that these international goals will be universal and bring together the domestic and international organisations to examine what this will mean for the lives of children and young people around the world. 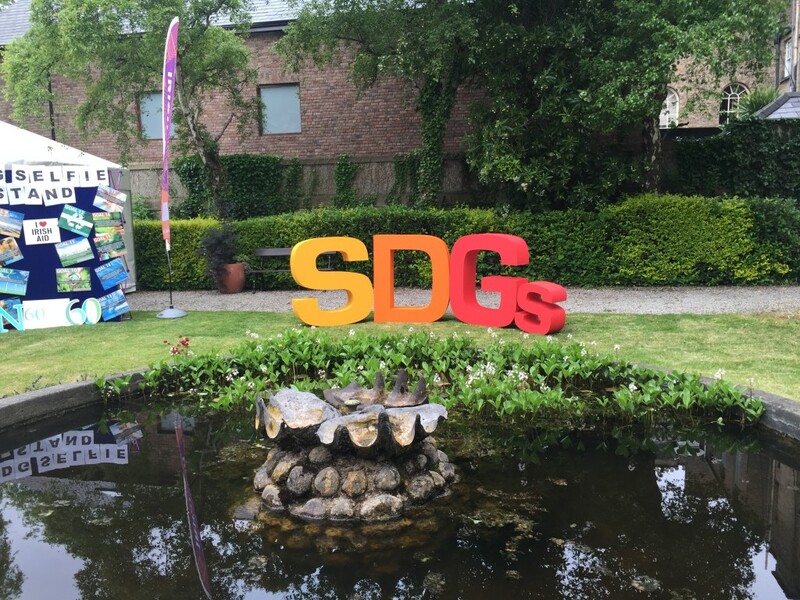 “The Sustainable Development Goals really connect with areas where we are failing to uphold children’s rights in Ireland. The Goals focus on areas such as poverty, inequality and the harmful use of alcohol – critical areas of concern. The Children’s Rights Alliance will push the Government to deliver on these new commitments and make children’s rights a reality.” said Tanya Ward, Chief Executive of the Children’s Rights Alliance. “Today we will be looking at how the SDGs will enable national and international organisations to put child rights at the centre of our joint development efforts.” David Dalton, CEO of Plan Ireland and Chair of the Coalition for Children’s Rights.